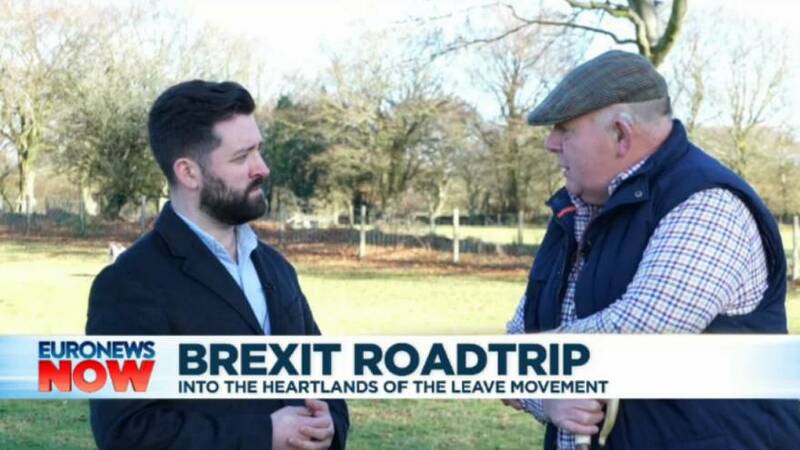 NBC's Alexander Smith continues his road trip across the United Kingdom, this time visiting Wales and the Leave English city of Boston, to gauge opinion on the nation's most talked about issue — Brexit. "I've got to be honest, politicians of all colours are playing political games with our future and it frightens me what is going to happen to us," William Jenkins, a sheep farmer, says, squinting into the low, wintry sun. As one of the poorest parts of Europe, Wales receives hundreds of millions of dollars each year in EU funding. And yet most people here voted to leave. Jenkins' family have worked the land in Blaenau Gwent, in southeast Wales, since 1911, and their rough-hewn farmhouse dates to the 1640s. Like his father and grandfather before him, Jenkins, 69, has faced almost every challenge, from harsh Welsh winters to constantly changing prices for his livestock. But nothing has worried him quite like the UK's impending exit from the European Union — the seemingly unsolvable riddle that is Brexit. As a pro-EU remainer, Jenkins goes against the grain of his community and says he's "baffled" by the vote, arguing the EU has given farmers "stability and security." Another stop was the English town of Boston — which is where the Massachusetts city got its name. The U.K.'s version happens to be the Brexit capital of the UK, where almost 80% of residents voted to leave the EU. Many were motivated by a spike in immigration from Eastern Europe after 10 new countries joined the bloc in 2004. "It was such a stable community for such a long time before the introduction of free movement," said Alan Mason, 69. He wouldn't say how he voted in 2016, and he denied that anti-immigrant sentiment was a cover for thinly veiled racism. He told us he understood why people were upset that the "character" of the town had changed so quickly. Others weren't so measured. While we were filming in the main square, a man shouted to us, "Send them all back home," referring to the town's migrant population. Road Trip Day 2: Are workers' rights the same across the bloc?